Toptal is proud to partner with Austin DevOps and Cloud Austin for their joint meetup on October 16th, 6:00 - 8:00 pm. 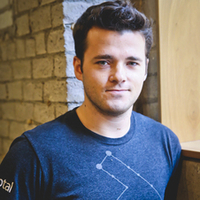 This will also be an opportunity to meet up with Ethan Brooks, Toptal’s North American Community Lead. Ethan will share information on how Toptal works and the benefits of joining our network. Feel free to invite your contacts who may be interested in finding out more.